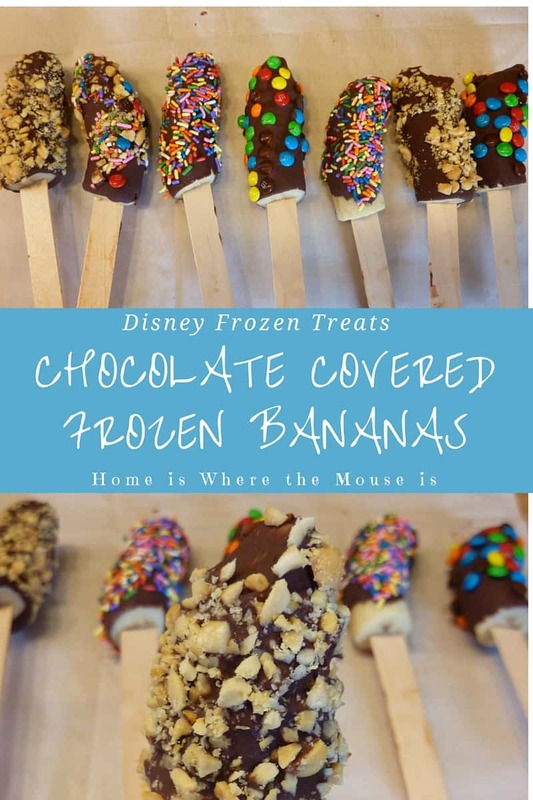 Chocolate Covered Frozen Bananas are perfect for hot summer Disney days. Dripping with chocolate, they are great for satisfying your sweet tooth. Here’s how to get one in the parks and how you can make some at home. A trip to Walt Disney World isn’t complete unless I’ve tried a new snack or two. I’ve made it my personal mission to sample the snacks each park has to offer. While it’s fun finding a new favorite snack, there are a select few treats that I need to have almost every trip. One of those treats is the Chocolate Covered Frozen Banana. 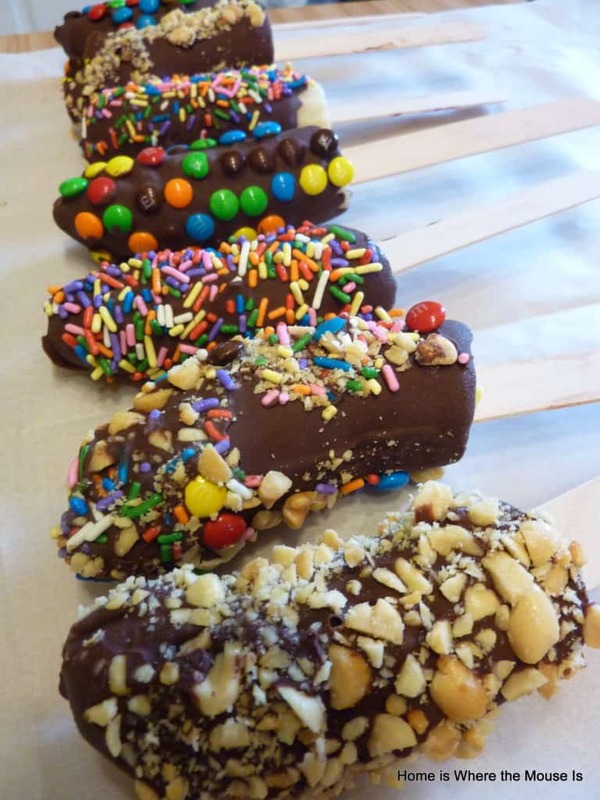 You can find Chocolate Covered Frozen Bananas at various ice cream kiosks throughout Walt Disney World Resort. However, my favorite place to enjoy one is at Animal Kingdom. There’s just something about being in that park that makes me crave this snack. I love it so much, I included it in our 10 Best Animal Kingdom Snacks list. If you haven’t had one, it’s really a must-try Disney snack. First, a whole banana is frozen on a stick. Then it’s dipped in chocolate and nuts. It’s the perfect balance of delicious and nutritious. Once bananas are frozen they taste just like ice cream, so this is the perfect ice cream substitute. You won’t feel guilty for having one either. Since they’re mostly made from bananas, it counts as a healthy snack. You can easily make this frozen treat at home with just 3 ingredients. Kids especially will love these. With all the yummy goodness covering the banana, they won’t even realize it’s a pretty healthy snack. The kids can even help make them. 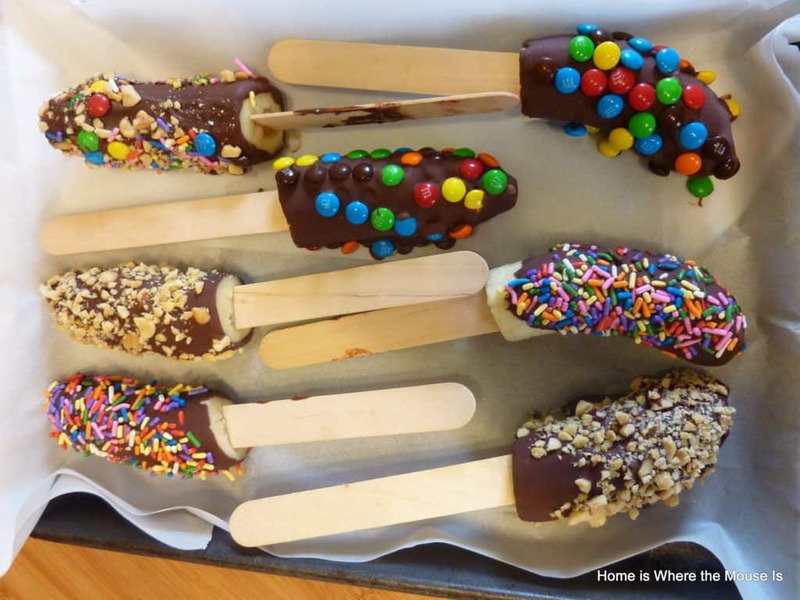 They could put in the Popsicle sticks, cover the bananas with chocolate (with supervision), or sprinkle on the toppings. I like to put my own personal spin on the Disney recipes I recreate at home. 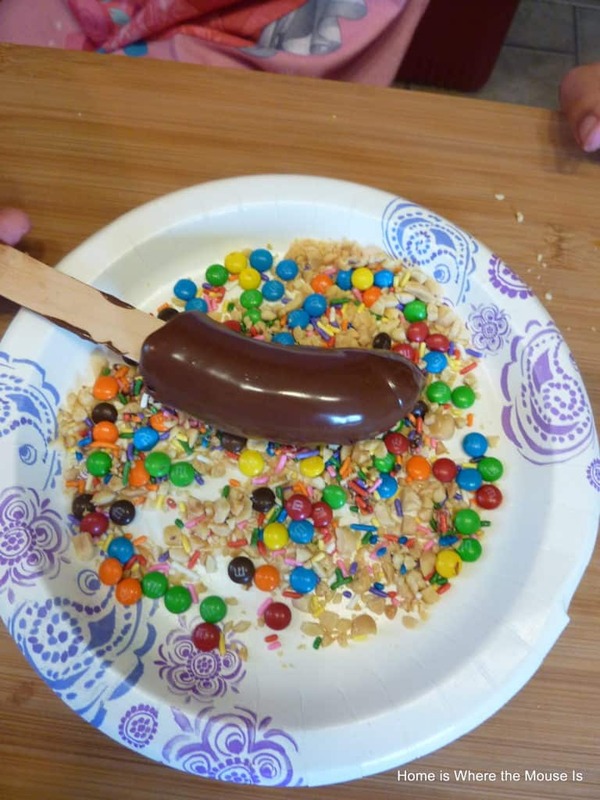 For this recipe, I decided to give the kids a choice of topping for their bananas instead of just nuts. I also chose to do half bananas to make it easier for the kids. Start with 3-4 firm bananas. Cut each in half. 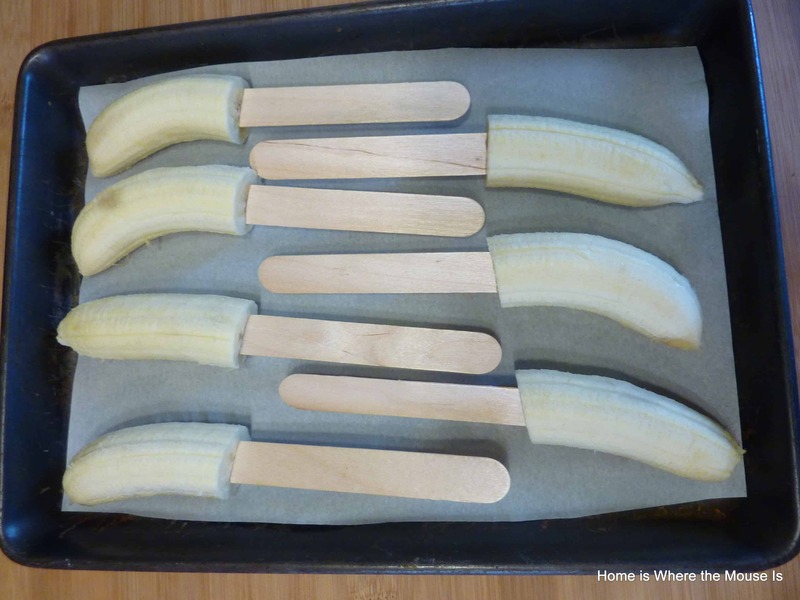 Next, carefully push a popsicle stick through the center of each banana. Then lay the bananas on a parchment-lined baking sheet. Freeze for 1 hour. While the bananas are in the freezer, melt the chocolate chips and coconut oil. You can use a double boiler or melt them in the microwave, 1 minute at a time on 50%. Next, set up your toppings on plates (we used paper for easy clean up). Our toppings included sprinkles, nuts and M&Ms. 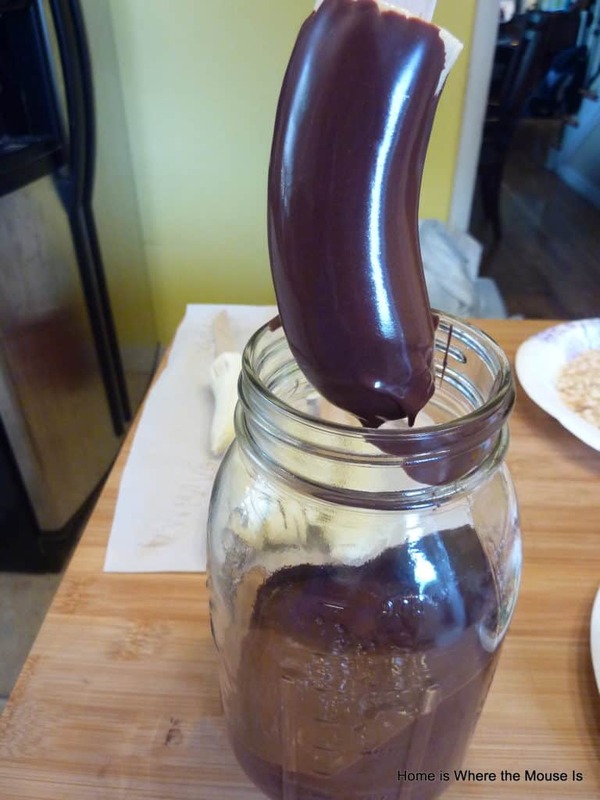 Pour the melted chocolate into a Mason jar. 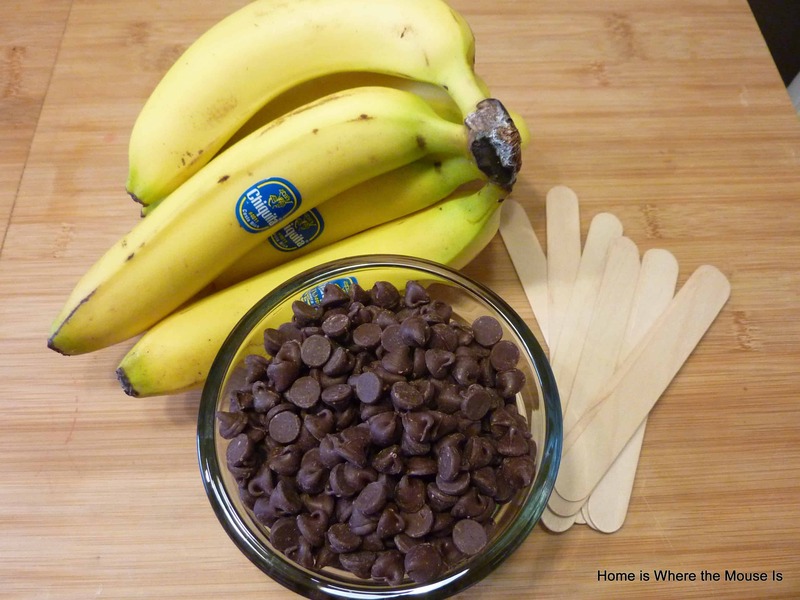 Dip each banana in the chocolate and immediately cover with the toppings of your choice. Return each banana to the cookie sheet. When all the bananas are covered, freeze again for another hour. Serve immediately or store the leftovers in the freezer in an airtight container. Start with 3-4 firm bananas. Cut each in half. Carefully push a Popsicle stick through the center of each banana. Lay the bananas on a parchment lined baking sheet. Freeze for 1 hour. While the bananas are in the freezer, melt the chocolate chips and coconut oil. Use a double boiler or melt them in the microwave, 1 minute at a time on 50%. Set up your toppings on plates (we used paper for easy clean up). 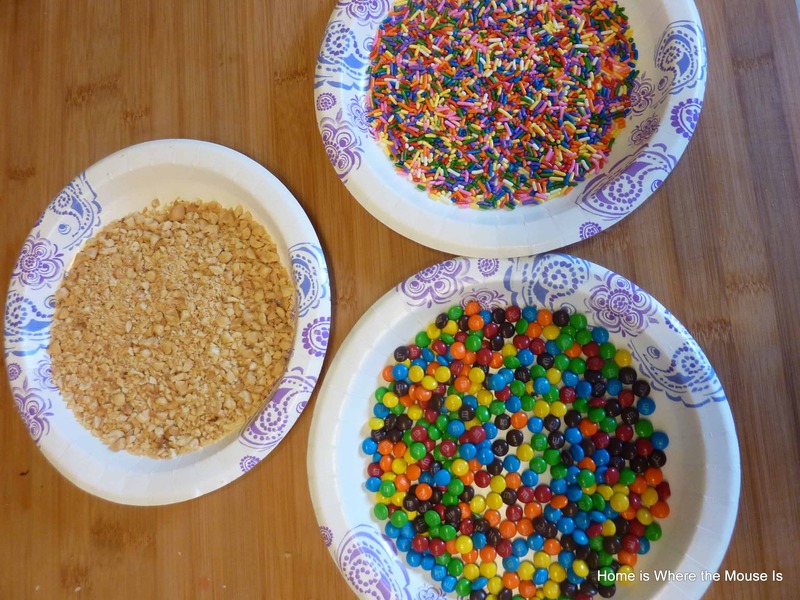 Our toppings included sprinkles, nuts and M&Ms. Return each banana to the cookie sheet. When all the bananas are covered freeze again for another hour. Serve immediately or store the leftovers in the freezer in an airtight container. Once you see how easy these are to make, you’ll be making them again and again. 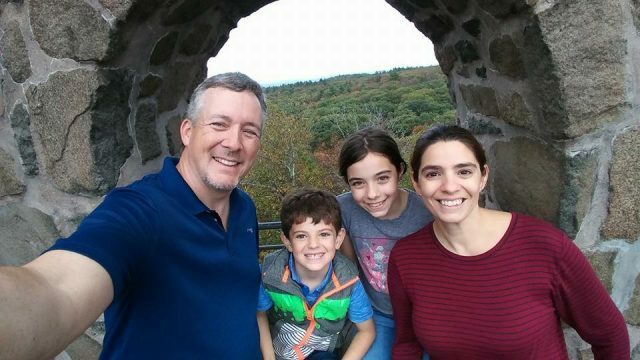 As you can see, they’ll be a big hit with the kiddos too! This is not a snake I would likely try because I’m not a big banana fan, but you may have convinced me by saying it’s like ice cream. Fun Fact: My wife says the WDW versions are gluten-free for those who need that. ‘Snack’ not ‘snake’… which I wouldn’t likely try either. Thanks for the tip! Just close your eyes and pretend it’s ice cream and you’ll be fine. I love banana but I’ve never had this snack in Disney! I have made my own version at home which was tasty. One of these days I will get that chocolate covered banana! It’s really a must try! 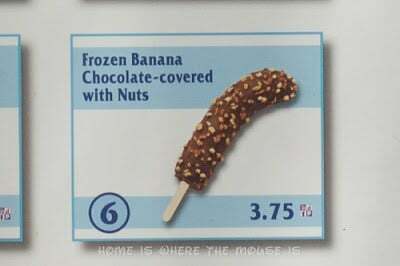 Just kidding, of course, but I enjoyed the post, although I don’t usually do frozen bananas because my teeth are very sensitive to the cold. Sounds yummy, though! Ha! You know James so well. 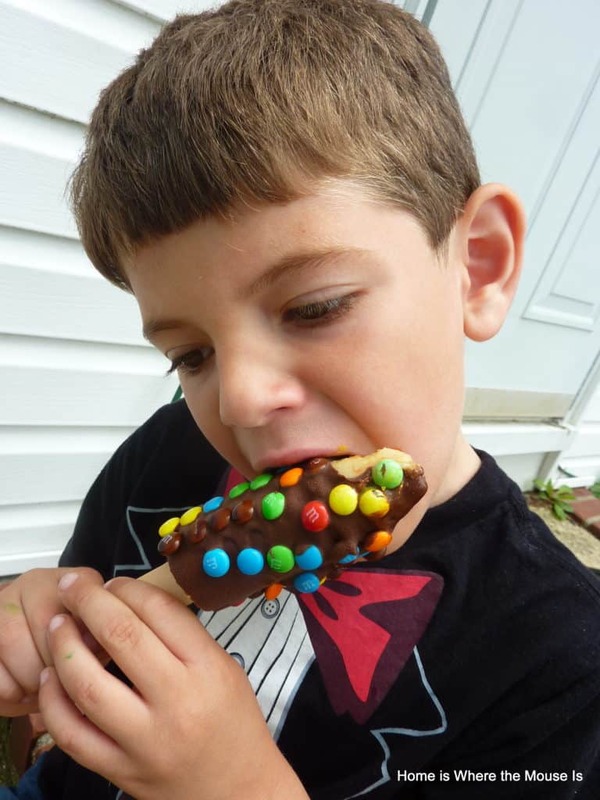 Sadly, the kids and I polished them off before he even got the chance to try one. Now this is a frozen treat that speaks to me. The ones in the park have the perfect balance of chocolate to banana. Perfect on a hot day. It’s one of my favorites for that reason too. Another WDW snack I have missed! I used to make these all the time when my kids were small. I think I should start making them again for myself! They’re a perfect anytime snack. And yes, I did think about having one for breakfast. Your mason jar tip is fantastic! I can’t believe I’ve never thought of that when dipping before! These sound like a great after school activity. Yum! Thanks for including the recipe to make this yummy snack at home. It would be so much for the kids to help with.